$800.00 – the amount in 1 in 3 small businesses will incur each year as a payroll tax penalty. 76% of overpayments are due to terminations, leave of absence and time reporting. 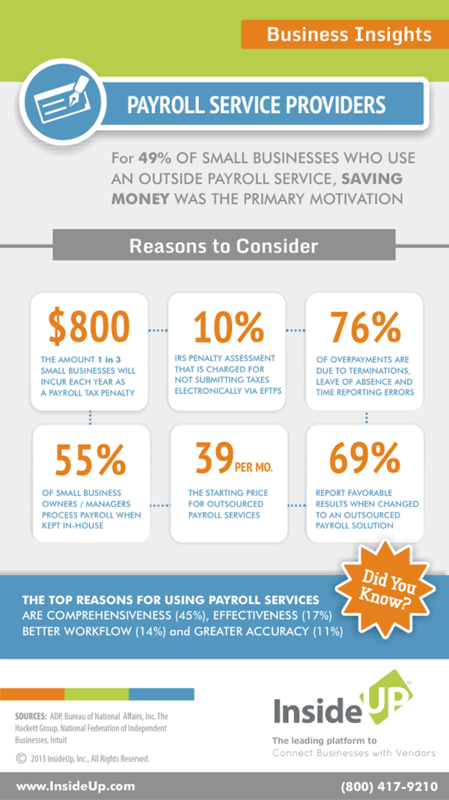 The top reasons for using payroll services are comprehensiveness (45%), Effectiveness(17%) better workflow(14%) and greater accuracy(11%). Should You Use a National or Local Payroll Vendor?